Which CPU for Gaming and Why? 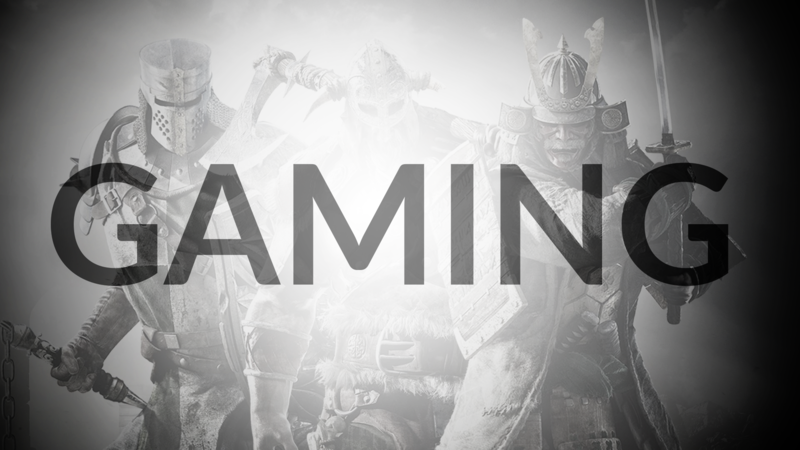 Games – that’s what we love the most! Do you play games? Yeah, we do as well. And as millions of players on this planet, we struggle with the growing requirements of modern games. We believe that you also have to face the problem of whether to upgrade or buy a new laptop, or even maybe buy a console? We won’t persuade you to choose any of those options, but we all know that PCMR! Right? When choosing a gaming PC, we have a variety of configurations available and choosing the right configuration to meet your exact needs isn’t that easy. The configurations differ by many stats, but one of the most important is the CPU. If you want to know a little bit more about the modern CPUs and what their codenames mean, follow this article. In the previous text , you get to know Intel’s CPU families. We don’t cover AMD CPU’s right now, but it’s possible that the future premiere of AMD Ryzen will change that. For now, AMD CPUs are no match for high-end Intel processors. In this article, you can read about how to identify CPU’s features from codename to what the parameters really mean. Intel’s CPUs families haven’t changed for almost a decade. The CPUs themselves did, but we still have Core i3, i5 or i7’s, just like in late 2008. What does change are the generations of the Core CPUs. And even though a performance leap from single generation to next is not always great, it’s important to keep up with the latest technology, including performance and other improvements. When Intel introduced the first Core i7 CPU in 2008, it set up a new CPU-development plan called “Tick-Tock”. The “Tick” phase was an improvement of the fabrication lithography process while keeping the core’s recent architecture. The “Tock” phase was exactly the opposite. While the lithography process stayed the same as the previous generation, the new generation CPU was based on new core architecture. That way, Intel could develop new CPUs quite smoothly. Now for the terms. Fabrication lithography process is a width (in nanometers – nm) of the semiconductor paths used in CPU’s production. The smaller it is, the lower the resistance. The result is that the CPU is colder and more energy-efficient. Let’s look at the Tick-Tock plan in practice. (Tock) First Intel Core i7/i5/i3 generation (Nahalem) is now a part of the early CPU history. Maybe not antique, but somewhat medieval. Those CPUs were introduced in 2008, and their fabrication process was 45 nm. Now, even with their high frequencies, 1st generation Core CPUs lack the performance for modern gaming. It’s the only Core i generation with a three-letter codename. (Tick) In fact this was also a first generation Core i called Westmare. The architecture remained the same as in Nehalem, but the fabrication lithography has changed to 32 nm, resulting in lower energy consumption. (Tock) Second generation of the Core i CPUs, named Sandy Bridge, was introduced in early 2011. The frequencies have dropped a bit, but a new architecture did what it had to do to lower power consumption and increase performance, both in single and multitasking. In fact, this was a long-lived generation, thanks to its good performance and few models which were very good at overclocking. Of course, Sandy Bridge was made in 32 nm fabrication process, as it was in the previous series. (Tick) Third generation, named Ivy Bridge, was a successful development of Sandy Bridge. Fabrication process has dropped to 22 nm, but architecture of the core remained the same. Thanks to newer fabrication process, Ivy Bridge operates at significantly cooler temperatures. (Tock) Fourth generation Core i7/i5/i3 CPUs, known as Haswell, was created in mid-2013. The new architecture was definitely a success reducing power consumption and giving better performance. Fabrication process remains at the level of 22 nm. Until today, some high-end 4th generation Core CPUs can be quite good even for gaming. Haswell processors are getting older, though, and if you consider an upgrade from the Haswell platform to newer, it’s a good time to reach for Kaby Lake. (Tick) This was for sure the quietest “tick” by Intel. 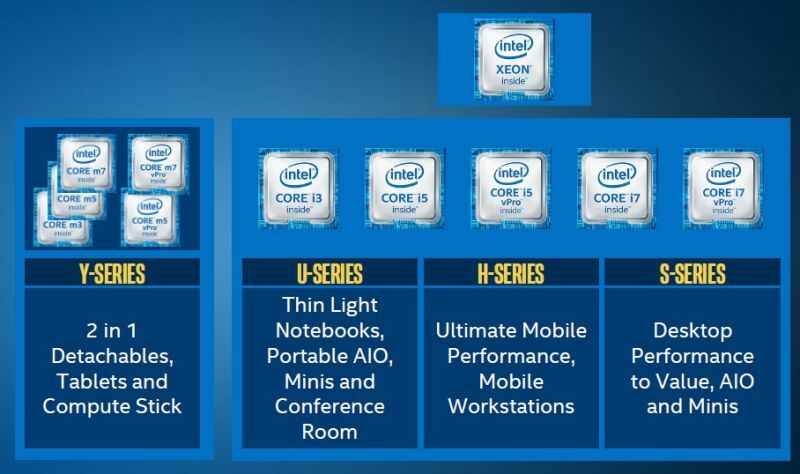 Fifth generation of Intel’s Core CPUs, named Broadwell, was almost exclusively made for mobile platform. Even on the mobile platform, they couldn’t reach the popularity of the 4th generation. With its low 14 nm fabrication process, Broadwell was energy efficient, but it wasn’t more powerful than Haswell. (Tock) Sky Lake, the sixth generation of Intel Core CPUs, may not be the newest one since the late 2016 premiere of Kaby Lake, but it’s still popular, and probably it will be available for about a year or even more. Sky Lake wasn’t any revolution, but it had very good energy performance, and incorporated a variety of models, both mobile and desktop. They were made in 14 nm lithography process. (Tic… oh wait) Surprise! There was no “Tick” phase here. Instead, Intel has shown us a new architecture named Kaby Lake. And even though it’s not a revolution in performance, the new 7th generation Core architecture came with something new. The budget line of the Intel CPUs – Pentium – has just gotten much closer to the Core i3. Why? It received a Hyper Threading technology, which in previous generations, was reserved for a “full” Intel Core CPUs. So now, the main differences between Core i3 and Pentium are a higher clock rate, a capacity of cache memory (not in every model), and price, of course. But still, even new and much more efficient than its predecessors, Intel Pentium 7th generation Core is no match for modern gaming requirements. Core i3 is also not a choice for a player’s PC. So you now know how the generations of Core CPUs differ and what they have in common. But what does the rest of the codename of CPU mean? First, the number of the Core i CPU codename stands for its generation. The second one is a little bit tricky. It stands for a performance level. So, in modern Core i3’s, you can get the numbers 1 or 3, for Core i5’s it can be 3, 4 or 6, and for Core i7’s, it is 5, 6, 7, 8 or 9. For example, the low-energy Core i5-7300U should be on the same level of performance as higher clocked Intel Core i3-7320. It’s not a reliable method of comparison, but just looking at the processor’s name, you can place it somewhere in the Intel’s CPU ladder. Alright, but what about the last part of the CPU’s name – the letters on the end? We’ll focus here on those, which you can find in laptops. Letters and digits – Welcome in Intel’s World! U – It’s a low-voltage processor. Much more power-efficient, but also with a lower performance. Great for ultrabooks or any laptop that should be mobile instead of powerful. And yes, you really don’t want any of those in your gaming laptop. HQ – Still mobile, but focused on performance (H) and more – it’s a quad-core (Q). It is definitely a good CPU for a player’s PC. HK – Also built for performance (H), but this one has a special feature: an unlocked multiplier. It’s not only a powerful CPU, but this one you can easily overclock. K – It’s not a laptop CPU, but a powerful desktop processor with unlocked multiplier. So, what does it do here? There are some laptops which can handle that kind of CPUs. A good example is a Dream Machines X-series. OK, so now you know how to decipher Intel CPU names. But what about the technical stats? What do they really mean? Number of cores – it’s easy – it’s just a number of cores 🙂 OK, but what is a core? In fact, it is the main part of the CPU, the part which is responsible for calculating, processing instructions and all the tasks that we connect with CPU. Other parts of the CPU, like cache memory or GPU core, are just here to help. So the number of cores might also be called a number of processors, but it would be a bit confusing, right? In modern PC’s, there are no single core processors anymore and even those dual core are pushed back by quad core CPUs. There are even six and eight core models, but they are built for workstations and servers. The increasing number of cores in processors started over a decade ago. Believe me, it won’t stop soon. When you’re choosing a CPU for a gaming PC/laptop, you should select the quad core model. 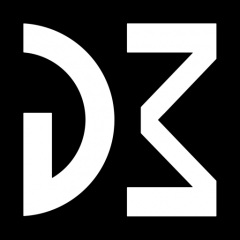 Number of threads – it describes how many complicated task-packs, called threads, CPU can work on simultaneously. Sometimes it’s the same number as a core number, but sometimes it doubles. Why? It is because of the Hyper Threading technology. It was first introduced by Intel in Xeon and Pentium 4 processors back in 2002, but the technology is still in use today. It doubles the number of threads per core. It uses the performance of a single core to work not only on actual thread, but also on a part of the next one. Hyper Threading is no miracle, and so the performance is not doubled, but there is a decent difference. It really depends on the software that we’re using. Some games and programs work better with an active HT; others don’t. But still it’s a good way to boost the performance of a CPU. So if you’re in need of power in a CPU – take the one with HT. Cache memory – the CPU has to store the tasks somewhere. It does so in the cache memory – an extremely fast, but rather small memory called cache. There are a few levels of cache memory, but usually in the technical stats you can see L3 cache. Intel uses Smart Cache technology, which means that the all cores of a CPU use the same cache memory. The larger the cache, the better! TDP – or Thermal Design Power. It is often taken as a processor’s power consumption, but it’s a little bit trickier than that. TDP is always in watts (W) but it isn’t about electrical energy, rather thermal. It describes how much thermal energy the CPU delivers. It helps to get the right cooling system for the CPU. Desktop processors have much higher TDP because there’s no problem to fit a large, very efficient cooling system in the desktop PC. Laptops are much smaller, so a desktop CPU doesn’t fit there, right? Wrong! There are a small number of extremely powerful laptops with cooling systems that can handle desktop CPUs. Check out, for example, a Dream Machines X and SLI series – these monster-laptops have desktop CPUs. But that’s not all – you can even overclock them to get extra performance. Multiplier – talking about overclocking, we can’t say anything about the CPU’s multiplier. When it’s locked, and usually it is, you can’t overclock the CPU in the easiest way possible – by changing the multiplier to a higher rate. But some CPUs have an unlocked multiplier. That is the key to easy and efficient overclocking. Normally this feature is available only in high-end desktop CPUs. So does it mean that it’s not an option for a laptop user? Usually it is not, but there are some laptops with desktop CPUs – like a Dream Machines X series. Choosing the right CPU is not easy, but we think that now, after reading this article, you know much, much more about it, and you can choose the best CPU for your needs. What CPUs are the best options for the player’s PC? It’s no secret that the performance in games is based on two of the computer’s components: processor (CPU) and graphic card (GPU). 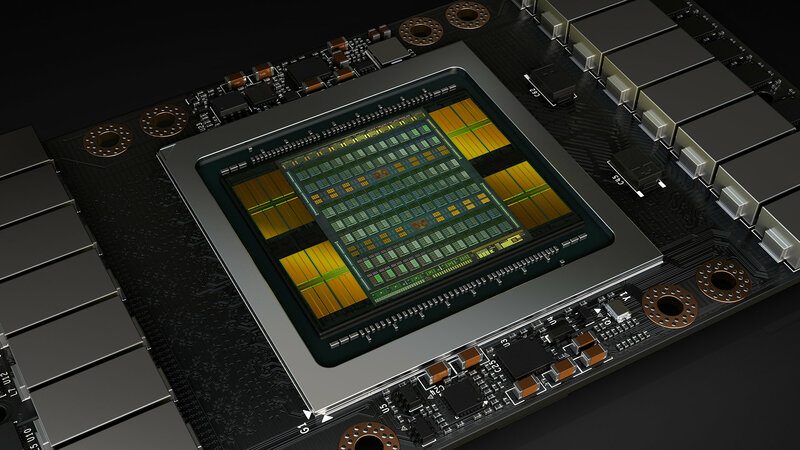 We’ll cover GPUs in another article, but now let’s focus on CPUs. What processor should you choose for your gaming PC? Here are some basics: don’t even think of Pentiums, Celerons, not to mention Atoms. You need a CPU with a decent performance. Core i3 might be the option, but the lack of Turbo Boost technology makes unsatisfactory, when it comes to gaming performance. So, we’re left with Core i5 and Core i7 families. Core i5 is a right choice when you have a limited budget, and you still want to get decent gaming performance. In that case, you’ll get a better result by buying a configuration with cheaper, yet still quite powerful CPU (Core i5) and stronger GPU, than the opposite option (cheaper GPU, stronger CPU). But there’s a catch. A very powerful graphic card may not show its true strengths when working with an underpowered CPU. Mixing Core i5-6300HQ with a GeForce GTX 1080 would be just a bad idea. But the same CPU and a mid-range graphics card (like 1050Ti for example) would be a good duo, both quite powerful and cost-efficient. if your budget can handle an additional expense, then a Core i5 CPU may not be your best choice. The Core i7 may be a better alternative to Core i5. The difference is obvious, and you might say that the Core i5s end where the i7s start. The strongest of the mobile Core i5 family model i5-model 7440HQ- is a quad core CPU with a 6MB of cache memory and a base frequency of 2.8 GHz, and 3.8 GHz when working in Turbo Boost mode. When you compare it to the weakest of the high performance mobile series Core i7s -model 7700HQ- you’ll notice that those CPUs have a lot in common. In fact, it’s the same CPU but with enabled HT technology. So, instead of four threads, we have eight threads. Although it might not get extra performance in every game, there are a lot of new titles which like multithread operations. If you like the Total War series, you should buy a Core i7 for sure! But 7700HQ is only a first model of the high performance Core i7 family. The other, more powerful models give you not only higher frequencies (up to 4.1 GHz in Turbo Boost mode with Core i7-7920HQ) but even an unlocked multiplier (in Core i7-7820HK). You want more? OK. If your plan is 4K gaming, you need extreme power, both by GPU, or rather GPUs, but also CPU. And here is where the real monster-laptops come to play. Big, heavy and extremely powerful devices like Dream Machines X-series, or even greater SLI-series. These monster machines have powerful, unlocked, desktop high-end processors. It’s the most power you can get in any laptop. And here is where the real monster-laptops come to play. Big, heavy and extremely powerful devices like Dream Machines X-series, or even greater SLI-series. These monster machines have powerful, unlocked, desktop high-end processors. It’s the most power you can get in any laptop. OK. If your plan is 4K gaming, you need extreme power, both by GPU, or rather GPUs, but also CPU. And here is where the real monster-laptops come to play. Big, heavy and extremely powerful devices like Dream Machines X-series, or even greater SLI-series. These monster machines have powerful, unlocked, desktop high-end processors. It’s the most power you can get in any laptop. Author Admin2016Posted on June 29, 2017 June 29, 2017 Categories CPU, UncategorizedTags CPU, Dream Machines, gaming, how to, i3, i5, i7, Intel, laptop, Tac, TicLeave a comment on Which CPU for Gaming and Why? Author Admin2016Posted on January 24, 2017 February 14, 2017 Categories Uncategorized1 Comment on Hi There!